So I had a rare weekend off this weekend and decided it was time for a breakfast that wasn’t cereal or toast for a change, and decided on crumpets and fruit. I stole this recipe from my dad (who stole it from the hairy dieters cookbook), its very filling, gives you one of your five a day and is only around 300 calories per person. It’s also really easy to make, and costs about £5.00 for everything (not including the honey I already had that in) and lasted me for 3 breakfasts. 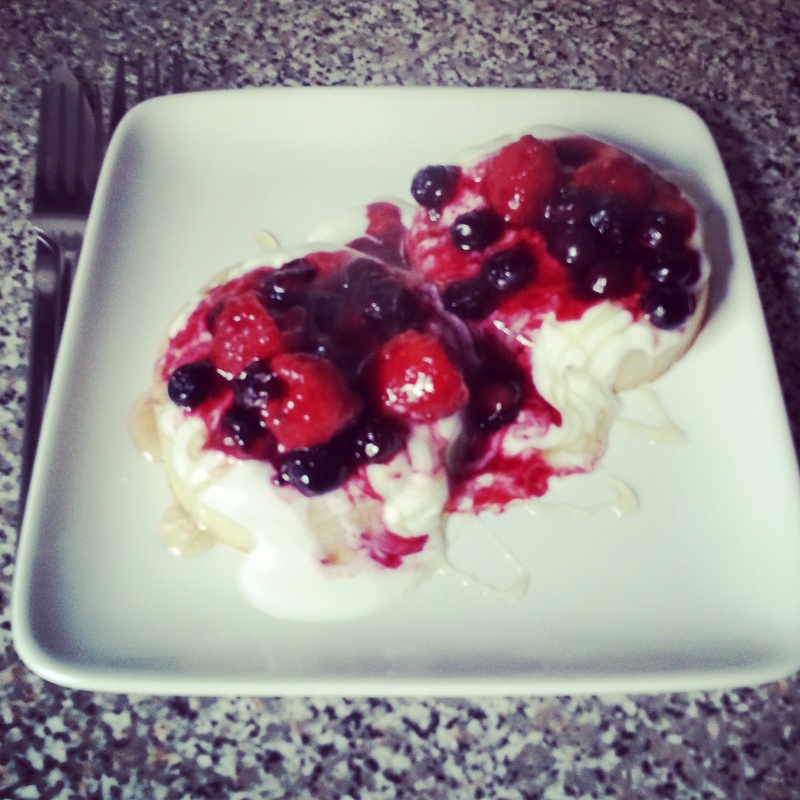 You need – 2 crumpets, Greek yoghurt, honey, mixed berries of your choice, cinnamon or another flavouring of your choice and sugar. Pop the crumpets into toast, whilst they are toasting heat up the mixed fruit in a frying pan. Whilst the fruit is cooking add a tea spoon of cinnamon powder (or whatever you have chosen) and a teaspoon of sugar, wait until the fruit is soft and the juices are running before serving.